8 by 24 in. 20.3 by 61 cm. New York - Mitchell-Innes & Nash is pleased to announce Cuba, January 1981, an exhibition of photographs by Martha Rosler, on view in the Chelsea gallery from April 20 – May 26. This series of color and black-and-white images, including several diptychs, has never before been exhibited. January 1981 marked the end of the 1970s, not only for the obvious reasons but because it marked the moment after Reagan's election and before his inauguration, after the discourses of détente, human rights, and egalitarianism and before the onslaught of neoliberalism, anti-terrorism and militarist adventurism and supply-side “trickle-down” rhetoric masking the huge upward redistribution of wealth. The Mariel “boatlift” from Cuba to Florida had just ended in October, just in time for Reagan's election in November. But the meaning of the 80s—for us as well as for the Cubans we met— was still located only in our nightmares and fears, not yet realized. Bracketed chronologically by Rosler’s well-known photo-text work The Bowery in two inadequate descriptive systems (1974/75) and her highly influential essay In, around and afterthoughts (on documentary photography) (1981), this series takes its place alongside Rosler’s photographs of airports, roads, shop windows, and public transportation as part of a career-long photographic practice. The images, like Rosler’s other photographic images, present a visual experience of the common spaces of society and the spaces where exterior and interior worlds intersect: cafes, schools, beauty parlors, theaters, churches. 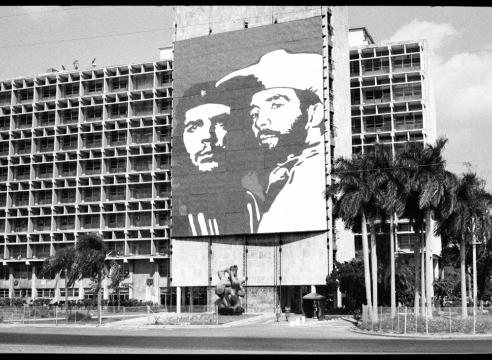 As Cuba was, at the time, largely off-limits to U.S. citizens, these images also exist in a hazy area of widely divergent assumptions about Cuban culture and the role of Cuban Communism. Martha Rosler works in photography, video, writing, performance, sculpture, and installation. Her work often addresses matters of the public sphere and landscapes of everyday life—actual and virtual—especially as they affect women. Rosler’s photographic series on places of passage and systems of transportation— airports, roads, subways, streets— have been widely exhibited. Rosler has for many years produced works on war and the “national security climate,” connecting everyday experiences at home with the conduct of war abroad. 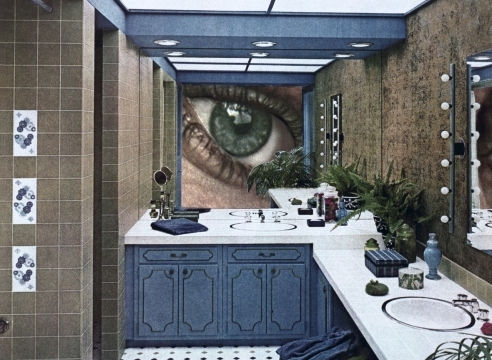 In 2004 and 2008, in opposition to the current wars in Afghanistan and Iraq, she reinstituted her now well-known series of photomontages “Bringing the War Home: House Beautiful,” made as a response to the war in Vietnam in the late 1960s. Rosler has had numerous solo exhibitions at museums and galleries internationally. The Galleria Arte Moderna e Contemporánea (GAM) in Torino hosted a retrospective exhibition of Rosler’s work in fall 2010. Other recent solo shows include those at Portikus, Frankfurt; Institute of Contemporary Arts, London; Centro José Guerrero, Granada; and the International Biennial of the Moving Image, Geneva. 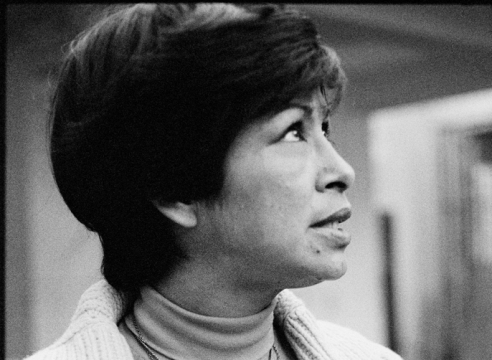 She was a founding member of the United Nations Plaza School, Anton Vidokle's project in Berlin, Mexico City, and New York. The Martha Rosler Library, comprising seven thousand books from her personal library, toured national and internationally between 2005 and 2009. Organized by e-flux, the library visited the Lower East Side in New York; the Kunstverein of Frankfurt; MuhKA in Antwerp; Institut national d’histoire de l’art (INHA), in Paris; the United Nations Plaza building in Berlin; John Moore's University in Liverpool; Stills Photo Centre in Edinburgh; and Amherst College, in Massachusetts. Her cycle of three exhibitions and four public forums, entitled “If You Lived Here…,” held at the Dia Art Foundation in New York in 1989 and accompanied by a book of art and essays, is regarded as a highly influential new approach to exhibition development. An archive exhibition of “If You Lived Here…” was exhibited at e-flux gallery on the Lower East Side of New York in 2009 and in 2010 at CASCO Center for Architecture, Design and Theory in Utrecht, Netherlands, and La Virreina Centre de la Imagxe, Barcelona. Rosler has participated in group exhibitions at institutions including the Centre Pompidou, Paris; Museum of Modern Art, New York; the International Center of Photography, New York; Fotomuseum Winterthur; the Reina Sofía, Madrid; Skulptur Projekte Münster 07; documenta 7 & documenta 12, Kassel; several Whitney Biennials, New York; the Venice Biennale; Nederlands Fotomuseum, Rotterdam; Tate Modern, London; Museum of Contemporary Art, Los Angeles, the Singapore Biennial 2011; and many other international and national venues. Rosler has received numerous national and international awards, including the Spectrum International Prize in Photography (2005) and the Oskar-Kokoschka Prize (2006). She was the USA Artists Nimoy Fellow in 2008, and a Civitella Ranieri Fellow in 2009. In 2010 she was awarded a Lifetime Achievement Award by New York’s Guggenheim Museum. She is the holder of a DAAD Artist residency in Berlin this year. In April 2012 she will receive the Asher B. Durand Award from the Brooklyn Museum. She continues to lecture nationally and internationally. 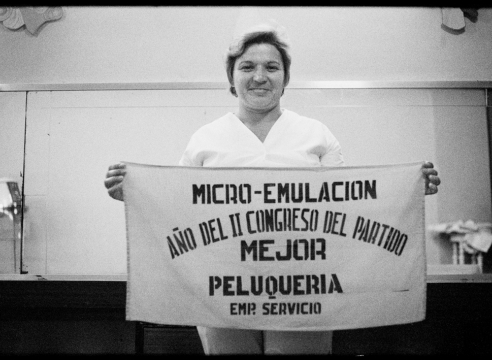 Hairdressers, Trinidad, one of several diptychs in Martha Rosler’s “Cuba, January, 1981,” shows two women looking at each other. In the first image, the blonde addresses the camera, seemingly in mid-speech, while the brunette watches her in profile. The agitprop photocollages that Rosler makes from borrowed materials are far more interesting than the photographs she takes, but both are the work of a fiercely engaged observer. One of the more striking aspects of "Cuba, January 1981," Martha Rosler's exhibition of photographs that were taken decades ago from behind the Caribbean iron curtain and are now on display for the first time, is how, to paraphrase Matthew McConaughey's famous line in Dazed and Confused, while the rest of the world has aged, Cuba more or less remained frozen in a continuous revolutionary moment.